Sonoma Magazine Online | Challenge of the Americas! Four drivers added to Team USA for Rotax Grand Finals following final rounds in Sonoma. 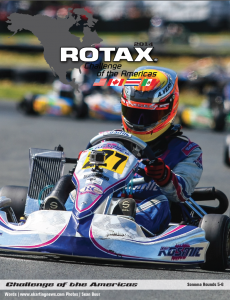 The 2014 Rotax Challenge of the Americas season came to an end with the final two rounds of the six-race series returning to the picturesque Simraceway Performance Karting Center located in Sonoma, California. Battling with rain showers during the official practice day, the skies become full blue with the sun shining the remainder of the weekend to provide perfect racing weather. Over 100 drivers contested the seven Rotax Max Challenge categories in Sonoma, providing dramatic conclusions to the championship chases. Gavin Reichelt, Alan Rudolph, Phillip Arscott and Austin Versteeg left Sonoma as champions, earning tickets to the 2014 Rotax Grand Finals as part of Team USA. The three remaining class title winners – Donald Durbin Jr., Dylan Tavella and Jak Crawford – score a paid entry to this year’s United States Rotax Max Challenge Grand Nationals. This entry was posted in Challenge of the Americas, Media, Sonoma by challenge-admin. Bookmark the permalink.